I thought this might be perfect for a Sunday! Ever since the start, our relationship has resembled something from Mills & Boon. It all began when his brown eyes met mine across a crowded barn in the wilds of Ireland. Tall and incredibly handsome, he had a certain arrogance that gave me goosebumps. I knew instantly he was the one for me — and he quickly moved to my rural home in Wiltshire. Four years on, we spend every spare moment together. He’s the best listener, knows more secrets than my hairdresser, never interrupts and just lets me drone on rather like a therapist would. I always feel like a new person when I’ve spent time with him. The trouble is, I’m beginning to fear our relationship is a little one-sided in the chatting department. Yes, I know he’ll eat literally anything, can’t bear Lycra-clad cyclists appearing from nowhere like neon mosquitoes on a country walk and loves a practical joke (his favourite is saving water in his cheeks and squirting it like a water pistol). But that’s the extent of my knowledge when it comes to his innermost feelings — as this dreamboat, you see, isn’t a dashing boyfriend, but my trusty steed, Jago. My beautiful, sometimes belligerent, always bouncing with energy, grey horse. I can tell his heart pounds with as much as excitement as mine does when we are tearing towards a hedge. But I want to know more about what’s going on inside his head. So when I hear that a renowned local clinic is hosting an ‘animal communication’ event, I’m intrigued. Particularly as I know the clinic’s owner, Alicky Gravell, a respected pain management specialist with some very illustrious clients, would never entertain any hocus pocus. Could this open my eyes — and ears — to Jago’s secret world at last? And if so, will I like what I hear? Perhaps it will prove the ultimate humiliation in unrequited love: imagine if he complains he doesn’t like what I feed him or, more likely, that I ride him like a muppet. Equally, the whole process could become incredibly cringe-worthy. It will, after all, involve me trying to talk to a horse. I decide to delve a little further into the world of animal communication. I find that it’s rather delightfully described as ‘a genuine heart-to-heart conversation’. That’s because the heart generates the body’s most powerful and most extensive rhythmic electromagnetic field, far larger than that of the brain. And animal communicators say that once you connect with your animal’s heart field — via meditative-like breathing — you can pick up its vibrations and, with practice, learn to read the information it gives out, thereby creating a telepathic connection with animals. Horses have huge heart fields and small brains. The energetic heart field sends more messages to the brain than the brain sends to the heart, so there is apparently great potential to connect with their feelings. In simple terms, we all give out huge amounts of energy via the electromagnetic field all the time. That’s why when we are in a foul mood, friends know to avoid us: they’re picking up on our negative energy. Equally, when we are full of the joys of spring, friends are much more forthcoming. Apparently, herds of horses communicate in this way, by learning to read each other’s energy. I arrive at the group session full of enthusiasm. There are 15 of us sitting in a large room, ranging from office workers to farmers, a young girl and her mother, horse enthusiasts and fellow healers. Safaya has been a professional animal communicator for 14 years. She mainly works with horses, but has also connected with other species — including a mongoose whose owners were worried about its disappearance from their farm every evening. Safaya divined that the creature liked to go out and check the boundaries of the property every night, to make sure all was in order. My own research tells me the idea that you can communicate with animals via your heart’s magnetic field energy is backed up by the HeartMath Institute in America, a non-profit research and education organisation that has long analysed how the heart radiates information that affects other people — and even our pets. First, we discuss how you open yourself up to make a connection with any animal. Safaya calls it ‘getting into the zone’. With our eyes closed, she makes us imagine that our hearts are in the middle of our chests: we must breathe and exhale into it. I liken it to controlling the breathing during meditation. Yet I couldn’t fight my way out of a paper bag after this two-hour session. I felt like curling up and going to sleep. But the belief is that once you have got your mind into this ‘open’ mode, you are receptive to an animal’s thoughts. 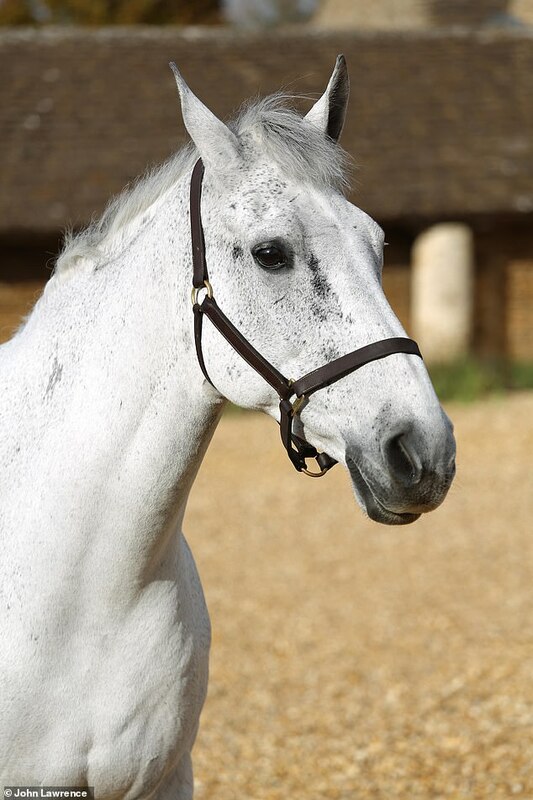 The next day, I arrange for Safaya to meet Jago at our yard in Wiltshire — home to two big horses and three ponies. As he does with all new arrivals, Jago comes to the stable door to inspect Safaya (he is terribly nosey), sniffs her and wanders back to munch on his haylage. We’ve fallen at the first hurdle, I think. How awkward! However, something very strange happens. Further down the line of boxes, my nine-year-old daughter’s pony, Dusty, starts kicking wildly at her door. Safaya excuses herself and goes to talk to the feisty mare. I haven’t told Safaya that Dusty is a relatively new pony, or that I have a daughter. I begin to feel Safaya must be a horse psychic. I realise her practice may provoke just as much scepticism, but I can’t ignore her insight. Jago breaks the stunned silence by standing at the front of his stable commanding attention. ‘He’s ready now,’ says Safaya, walking towards him. Now it’s my turn to do the talking — or listening. With Safaya’s guidance, I sit on a feed bin opposite Jago, close my eyes and focus on my breathing. To begin with I feel rather self-conscious and wonder what my husband would think were he to walk in. But I soon settle into the process. I must admit that after 20 minutes of ‘opening my mind’, I fail to receive any clear messages from Jago. Nothing I could decipher anyhow. That said, I do feel incredibly relaxed — but that could be because it’s the longest I’ve sat down in a while. When I open my eyes, Jago is standing right in front of me, fast asleep. He has no headcollar on, nothing to restrain him from barging out of his stable, as he’d normally do. So maybe I’ve done something without realising it? Before I become too dismissive, Safaya has a rather illuminating one-on-one with Jago. At first I do what I do best — chat away incessantly to fill the silence. ‘If Jago was a human, I think he would be a cross between Just William and Hugh Grant in Four Weddings And A Funeral,’ I say. ‘He’s a bit of a buffoon!’ Bang on cue, Jago lifts his head and looks at Safaya straight in the eye. She roars with laughter as if they are sharing a private joke. ‘He says, “Could you mind your language?”’ says Safaya. Admittedly my language can be pretty colourful from time to time. I now feel quite tense about what else Safaya will glean from him. As we stand there silently, their connection is so potent I feel a bit of a lemon. Jago is incredibly relaxed and they look like two old friends sharing a bottle of wine and having a catch-up. It makes me smile. I am forever being told that I buzz about like a bluebottle and need to slow down; now even my horse was jumping on the bandwagon. My mother is going to love this! She’s only just given me a lecture about my whirling dervish manner. It also makes me feel rather guilty because I do tend to be thinking of a million other things when I’m with Jago. I’m always riding against the clock. Safaya points out that although we’re called human ‘beings’, we are always ‘doing’. She would like to see us all slow down and give our animals more time. It makes me wonder if my two daughters, nine and seven, have such special bonds with their ponies because they don’t have the washing, ironing, weekly shop and cooking to think about. Regardless of my own limited success, it’s been an uplifting experience. There’s no denying that Safaya has a gift with animals, which is fascinating to witness. Whether it’s something you’re just born with or whether, with more practice, I too can become the next Dr Dolittle, only time will tell. But I really do want to know what kind of horse Jago thinks I resemble. Let’s hope that it’s not an unwieldy great Shire horse! EMERGENCY JANUARY BUCKET FUND: 21 wet, starving and lonely DONKEYS NEED OUR HELP! All donations are 100% tax deductible. THANK YOU in advance!! Do you find yourself daydreaming about ways to gather fresh, new, yummy, unfenced, green grass for your horses?! I do. I am currently reading the book, HORSES IN TRANSLATION, which is not about “telepathy” with horses, but learning to read their body language and to respond in kind. Until I can “read a horse’s thoughts” myself, I will find that type of animal communication quite unbelievable. I did once hire an animal communicator for a telephone consultation because I was curious to see if there was anything to it. After speaking to her for nearly an hour about my horses and cats, I came to the conclusion that she was a person extremely knowledgeable about animals, very attentive to everything I said, and really good at making educated guesses. When she did say something definitive (such as the color of the coverlet on my bed being, “ a dark color, I think red”, when it was in fact a faded pale blue) it was just a guess with a 50/50 chance of being right. I won’t say that these animal communicators are outright frauds, they may believe that they are getting “messages from animals”, however people’s time and money would be better spent trying to understand the true language of horses, which is body language. Hi Mary! First of all, thank you! I checked with Pay Pal, and there is no donation for the donkeys. However, did you maybe do it over Facebook? Did you receive a $25 donation from my Credit Card for the donkeys in the past two weeks? I remember doing it and I did not receive any thing notifying me of a charge on my card. Thanks.